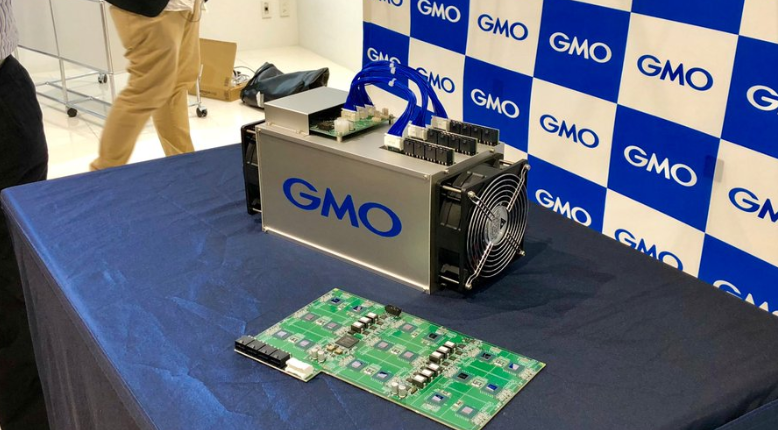 Japanese IT giant GMO Internet has revealed prices and specs for its new-from-the-ground-up bitcoin miner – the world’s first based on a 7nm chip. At a press conference, the company said Tuesday that its 7nm ASIC (application-specific integrated circuit) that will power the new B2 miner is designed in Japan, but manufactured in Taiwan. The arrival of a 7nm chip is notable since it ushers in more hashing power for bitcoin miners, while at the same time theoretically reducing power consumption, an important factor for miners in seeking return on their investment. According to a Bloomberg reporter who tweeted from the event, the B2 will provide a hash rate of 24TH/s, with power consumption at 1,950W per unit – that breaks down at 81W per 1 TH/s. By comparison, the current market leader – Bitmain’s Antminer S9 – offers 14TH/s at a power consumption of around 1,300W. The B2 may offer market leading power, if GMO’s figures prove to be accurate, but it will come at a price – $1,999 to be exact. That’s compared with $837 for the Antminer S9. As reported by CoinDesk, the B2 was revealed on May 24, with GMP saying pre-orders will start on June 6 and shipments to follow in October. The launch comes following a months-long testing period since the firm initially revealed it was researching and developing the new mining processor in September 2017.